Take the next step toward financial independence. By learning to take control of your money, you can control your future. Families and individuals with incomes up to $55,000 are eligible for our full service tax help. We can assist you in filing your federal, state, and local tax returns, and ensure you receive your maximum tax refund. 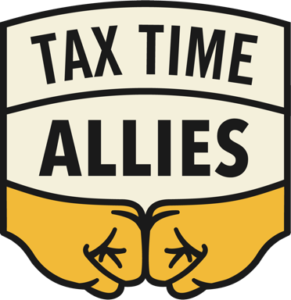 For a flyer listing our current tax sites, click here. Many low-income individuals work a full-time job and still struggle to make ends meet. The Earned Income Tax Credit provides tax bonuses to workers who meet certain criteria for financial need. Find out if you’re eligible. Pressed for time? Another option to get your taxes done is to visit one of our Drop-and-Go partners. Just drop off your documents and pick up your return when it is done. If you want to learn to file taxes on your own, TurboTax offers a free service to individuals with an adjusted gross income of $34,000 or less ($66,000 for active military, or anyone who qualifies for the Earned Income Tax Credit). This service includes free online filing of federal, state, and local (city) income taxes. If you need help, our hotline is available Mondays and Wednesdays from 12:30 p.m. to 6 p.m. at 313-556-1920, ext. 1014. My Free Taxes by H&R Block provides free filing of federal and state income taxes for individuals with incomes less than $66,000. If you have a city return (Detroit, Hamtramck, Pontiac, etc.) use Turbo Tax! This program does not include local (city) returns. If you need help, our hotline is available Mondays and Wednesdays from 12:30 p.m. to 6 p.m. at 313-556-1920, ext. 1014. Disputes with the IRS can be stressful and expensive. Our clinic works with low-income individuals who have disputes ranging from audits and payment agreements to identity theft. LITC also has an education and outreach program for individuals who speak English as a second language (ESL) Please check IRS Dispue LITC 2019. If you are a taxpayer but not a native English speaker, we can provide tax education to help you manage your returns. If you need help, call 313-556-1920, ext. 1219. Filing your taxes, and getting the return you’re entitled to, is the critical step toward establishing sound money management skills. But gaining true financial stability requires a goal, a realistic plan, and your commitment. We work with you to understand the financial stresses you are under and to lay the foundations for future economic security. Whether your goal is to get out of debt, build up a savings account, or start a small business, we can provide the knowledge, insight, and support you need to succeed. We offer financial empowerment through educational programs that use in-person as well as digital tools along with group and one-on-one sessions.